Eastern DataComm designs and implements a communication and emergency notification system that enhances safety and security for students who have visual impairments and other special needs. 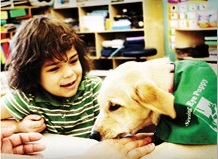 St. Joseph’s School for the Blind provides academic and life skills training along with physical, occupational and speech therapies to students with visual impairments and multiple disabilities. Located on a three-acre campus in Jersey City, N.J., the school includes a 75,000-square-foot ADA-compliant building and a multi-sensory playground with accessible equipment for special-needs children. Founded in 1891, St. Joseph’s has both a rich history and forward-thinking culture that embraces technological tools. An initiative to replace its aging phone system led the school to contact Eastern DataComm, and launched a larger conversation about emergency notifications. Eastern DataComm visited St. Joseph’s and demonstrated its Lockdown Emergency Notification System (LENS). Designed especially for schools, LENS features proprietary technology that integrates the ShoreTel Unified Communications platform with a school’s public address (PA) system, speakers, strobe lights, digital signage and other alert mechanisms. Most importantly, LENS is an automated solution that enables rapid initiation of emergency notification procedures throughout an entire school campus (inside and outside). “Unfortunately, security is becoming an increasing priority for schools,” said David Feinhals, Executive Director, St. Joseph’s School for the Blind. “As we started to get serious about upgrading our phone system, we also began to look at what we could do to increase security. We looked at a couple of vendors but were most impressed with what we saw from Eastern DataComm — not only the physical equipment but the rationale behind how it was designed and how it works. Because it serves students with disabilities, St. Joseph’s needed to ensure that emergency notifications were delivered as quickly as possible throughout the campus. The Eastern DataComm team analyzed the school’s facilities and designed a solution to meet those needs. If an emergency were to occur, a teacher or staff member can go to any phone (within the building or classroom) and dial a code that activates the system. First responders and school administrators are contacted, and emergency notifications are sent out over multiple modes of communication. Eastern DataComm began by replacing the school’s legacy phone system with the ShoreTel unified communications platform. The old system was no longer supported by the manufacturer, creating concerns about reliability. The flexibility of the ShoreTel system has enabled the school to put phones in more areas and assign extensions to users based upon physical location. The system also provides advanced features and crisp call quality, even when using speaker phone functionality. The next step was to replace St. Joseph’s PA system — a combination intercom, paging and clock system that required a large headend controller. Eastern DataComm was able to replace the headend hardware with a smaller, less expensive unit. Since the ShoreTel IP phone system has built in, handsfree intercom capabilities, the new paging headend only needed the ability to make overhead announcements. They were also able to reuse all of the existing PA speakers, only adding more as needed to ensure full coverage throughout the facility. In addition, Eastern DataComm tied the phone system into the PA system, allowing an overhead announcement to be generated from any phone within the building as opposed to only being able to make it from a microphone in the main office. By using the ShoreTel system as a communications platform, St. Joseph’s was able streamline their technology, improving overall communications while saving costs. In developing the project plan, Eastern DataComm considered the special needs of the school. The ShoreTel system and other major components were installed and tested over winter break, and the remainder of the implementation completed with minimal disruption to the students’ routines. “The Eastern DataComm team came in here almost in stealth mode,” Romano said. “They installed equipment where they could, working around class schedules. And the transition to the ShoreTel system was flawless. In my past experience, bringing new systems on board never goes right the first time. But when we switched over we were right on. 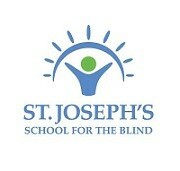 St. Joseph’s School for the Blind learned firsthand that Eastern DataComm’s reputation for quality is well deserved. From design through implementation to ongoing support, the Eastern DataComm team provides highly responsive, professional service. Eastern DataComm delivers a tightly integrated solution that enhances safety through automated emergency notifications. Eastern DataComm designed a solution and developed a project plan that considered the needs of students with visual impairments and multiple disabilities. The ShoreTel Unified Communications system provides advanced communications features and high-definition audio. A modern paging system, along with strobe lights and digital signage work in concert with the Eastern DataComm LENS controller and the ShoreTel platform for emergency notification. The ShoreTel platform provided the school with an intercom system that improves their day-to-day communication, and saves them money. Expert professional services ensured a high-quality implementation and seamless cutover to the new system. Interested in discussing a project for your school?